An overarching scheme of cultural artistry, inspired by the etc.hed handiwork of some of the world's original artisans, is the freshest look in town this season. Stealing a leaf out of their book, the Billerica pulls style elements of the era and weaves them in a textured shag stunner that is nothing short of art for your floor. The Billerica is consciously constructed with the premium quality of our Everstrand fibre, created with up to 100% recycled post-consumer content from plastic bottles, so not only is this one easy on the eyes, but also the environment too. Available in two colourations, blue and grey. A breezy babe sure to weave a splendourous spell of sweet style in your space, the Paxton is another beauty fresh from our new Berkshire Collection. The silky soft touch of shag showcases alluring variations in colour and design to create a one-of-a-kind charm that is hard to resist! One part billowy beach house, one part up town Brooklyn brownstone, the Paxton leaves much to interpretation. Wonderfully woven with the soft touch and premium stain resistance of our exclusive Everstrand fibre, the Paxton is consciously constructed with up to 100% recycled post-consumer content from plastic bottles. Available in two colourations, blue and coral. 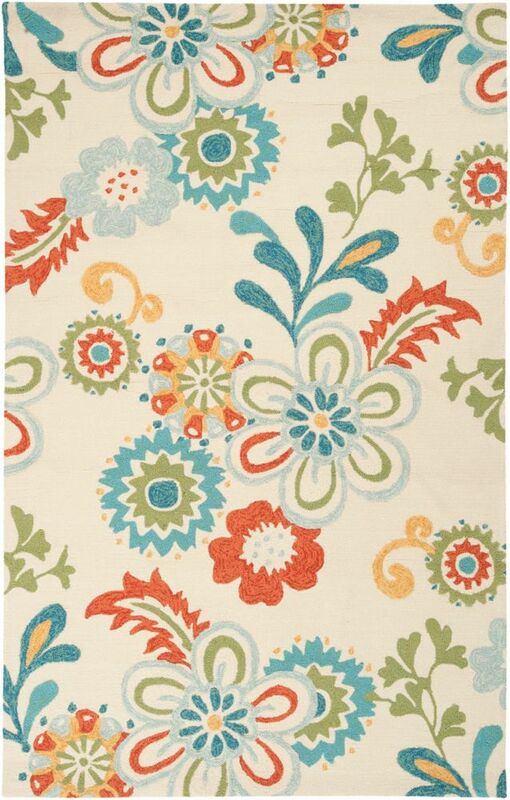 Santiago Aqua 3 ft. 3-inch x 5 ft. 3-inch Indoor/Outdoor Area Rug Scintillating shades of exquisite colour blend together in a hypnotizing harmony to fashion the dazzling rugs within the Santiago collection by Home Decorators. Hand hooked in 100% polypropylene, these perfect pieces allow for a sense of durability in your dicor while maintaining a current trend with glamorous design highlighted in hints of orange, red, green, and blue to craft the perfect addition to any home decor.